Geopolymeric binders are especially indicated when reusing a wide diversity of wastes. This is an important feature, especially in the European context, in which a circular economy and future zero waste are targeted. Still, the cost of these materials, due to the use of high purity activators, prevents their commercialization as they are simply not competitive enough. The reduction in the amount of activators could be a cost-efficient solution if the associated decrease in the mechanical properties turned not to be excessive. This means that it is important to investigate the manner in which these additives can be used on their composition in order to compensate that mechanical reduction. 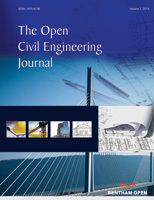 This paper discloses results concerning the mixed design of fly ash based geopolymeric mixtures using metakaolin, Portland cement (OPC) and calcium hydroxide as additives. Their influence on the mechanical properties, microstructure and cost-efficiency was studied. The results showed that the use of Portland cement as an additive leads to lower compressive strength. Results also show that geopolymers with different additives have different optimum Na2SiO3/NaOH ratios. Keywords: Waste reuse, Fly ash, Geopolymer, Mix design, Compressive strength, Microstructure, Cost analysis. © 2018 Kheradmand et al.